Cities play a prime role in social and economic aspects worldwide and have a huge affect on residents and the environment. Rapid population increase and expansion of resource consumption—combined with industrialisation, urbanisation, mobilisation, agricultural intensification, and excessive consumption-driven lifestyle—are seen as the principal contributors to degrading the quality of cities. To overcome these problems and challenges, cities have encountered many new concepts of city development, such as knowledge-city, eco-city, digital-city, livable-city, and low carbon–city. These concepts have provided new ways for city development. The concept of a smart city itself is still emerging, and the work of defining and conceptualising the concept is in progress. Therefore, there is neither an agreed definition of a smart city nor a set of indicators that could clearly distinguish smart and “less-smart” cities. 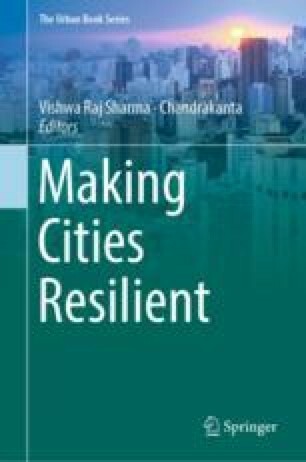 To close the gap in the literature about smart cities and to respond to the increasing use of the concept, the present chapter reviews the status of research on smart cities and identifies the reasons why there is a need for smart cities in India.